A few days ago, a group of people from the Chicago real estate industry got together to help in some small – but significant – ways to make life better for those who needed a helping hand. As a result, two elderly women now live in cleaner, safer and more pleasant surroundings and the team from the real estate community learned first-hand what it’s like to make a difference in someone’s life. 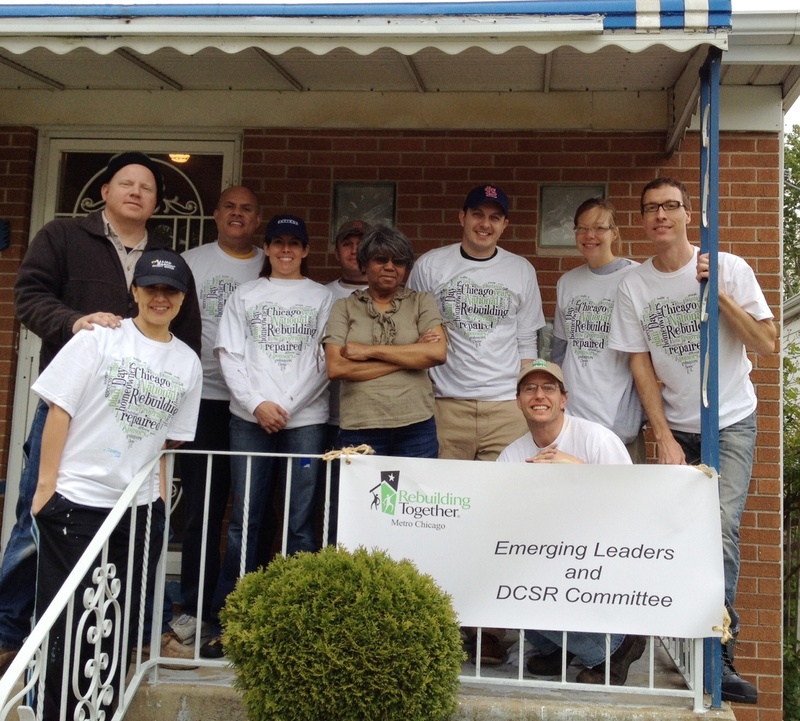 On April 28, members of the BOMA/Chicago Diversity and Corporate Social Responsibility committee and Emerging Leaders subcommittee spent the better part of a day cleaning and repairing two homes in Chicago’s Englewood neighborhood. At one home, we removed debris and clutter and installed some paneling in the basement and at the other, we installed a security door, hand rails and bathroom grab bars, painted two rooms and removed old appliances from the basement. The work – completed by David Myles, Paul Rades, Jennifer Christakes, Justin Girard, Lucas Schlemmer, Anamaria Spiteri, Abigail Kichura, and myself – was coordinated through Rebuilding Together Metro Chicago, a national organization that provides no-cost home repair for elderly, disabled and low-income families. The effort is part of a national initiative called National Rebuilding Day, which takes place in cities across the nation. 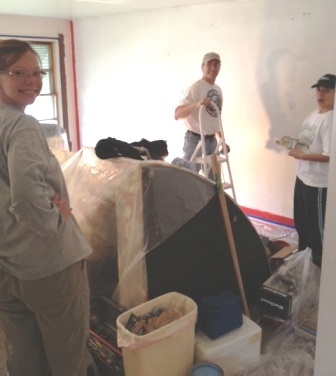 Our team worked on two homes that day, but collectively, volunteers from the initiative worked on dozens of homes in Chicago. 1. We got to visit a neighborhood in Chicago that really needs help and witnessed the difficulties people living there are up against every day. 2. We made a true difference in the lives of two women by improving the safety and comfort of their homes through simple devices such as hand rails and grab bars. My day working on National Rebuilding Day was inspirational. I came away from the experience with a positive feeling, with a sense that I gave back to the community; and I’m sure my BOMA/Chicago colleagues felt the same way. Perhaps next year we can enlist property management companies as sponsors and get the entire commercial real estate industry involved. Without question, the work we accomplished will raise awareness about National Rebuilding Day and hopefully spark conversation to help those in need, even if it’s just for one day. Do you take part in a program to give back to the less fortunate in or around Chicago? Does your company participate in National Rebuilding Day or some similar initiative? Let’s start a dialogue; please share your insight. This entry was posted in BOMA/Chicago Events, Chicago CRE industry and philanthropy, Philanthropic Outreach, Uncategorized and tagged a program to give back to the less fortunate, BOMA/Chicago, BOMA/Chicago Diversity and Corporate Social Responsibility committee and Emerging Leaders subcommittee, Chicago real estate industry, Englewood neighborhood, National Rebuilding Day, property management companies, Rebuilding Together Metro Chicago. Bookmark the permalink.